• We managed to collect one year’s supply of toiletry products for 500 boys and girls to create Toiletry Starter Kits and also kit out their refuge homes around Sydney with products!!! 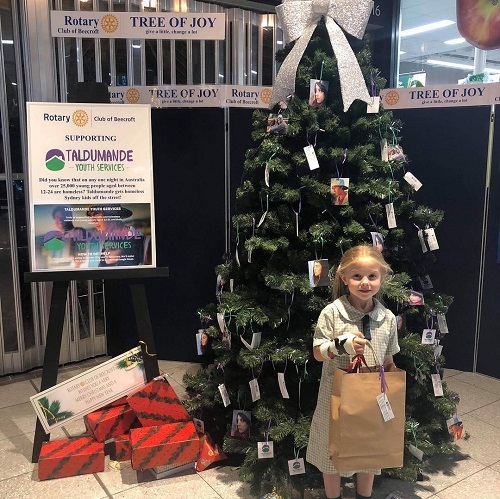 • Our Rotary Tree of Joy was a great success as it put a smile on the faces of the kids at Taldumande who couldn’t be with their families for Christmas, and the kindness of you, our local community, made this happen!!! 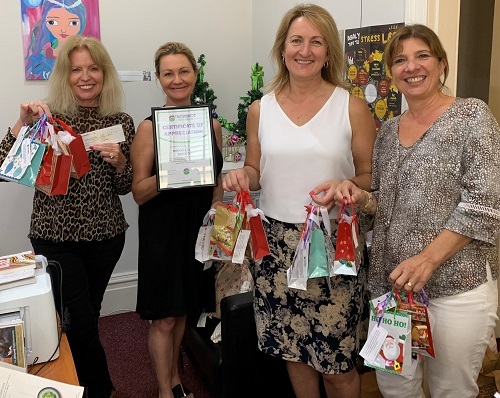 • And once again our annual Christmas Carols Bucket Brigade saw our locals open up their hearts and dig deep for the homeless children of Sydney who are in the care of Taldumande. The Rotary Club of Beecroft would like to thank everyone that volunteered, supported or donated to these projects as we would not have achieved any of this without your big-heartedness. We hope you will be able to assist us once again in 2019 and wish you all the best.